It was my friend Jillian’s birthday and I wanted to bake her birthday cupcakes, but not the same type of cake and icing I had made the year (unless she had asked for it of course!). One of my employees had come back from a trip to India and had given me an amazing Marsala Chai. Let me tell you, we’ve got nothing on the real deal Indian chai. 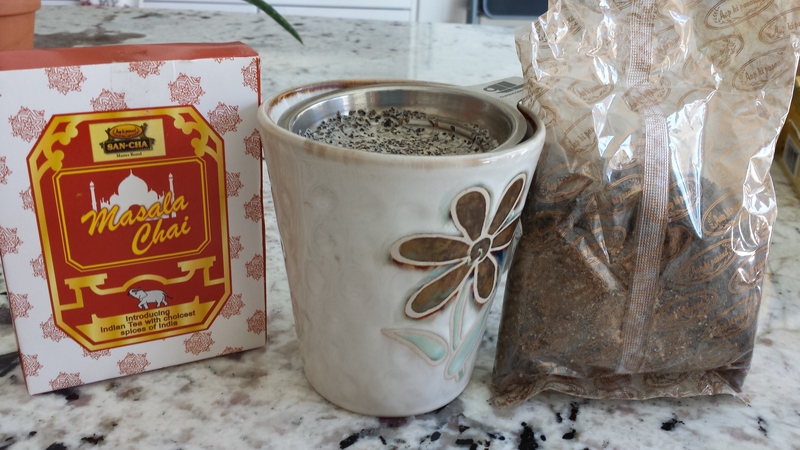 Since Monkey Man and I came back from India last December, I’ve been craving authentic Indian chai. 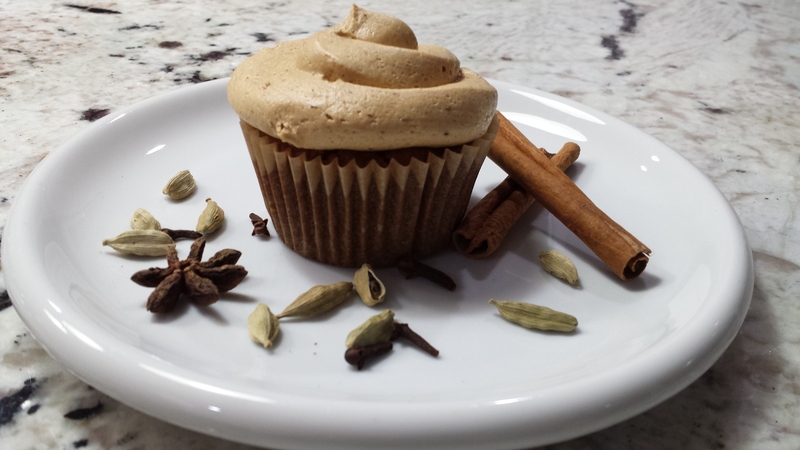 In cake terms, when I think chai cupcakes I think of a spiced-like cake. But I wanted it to have more dimension. And so the Dirty Chai cupcakes were born. Because these were for Jillian, they had to be egg-free and gluten-free. And of course they had to taste great 😉 This recipe gave me the opportunity to make some of that amazing Marsala Chai from India. This recipe makes about 20 cupcakes. Preheat the oven to 325 degrees F. Line at least 20 cupcake holders with paper liners. 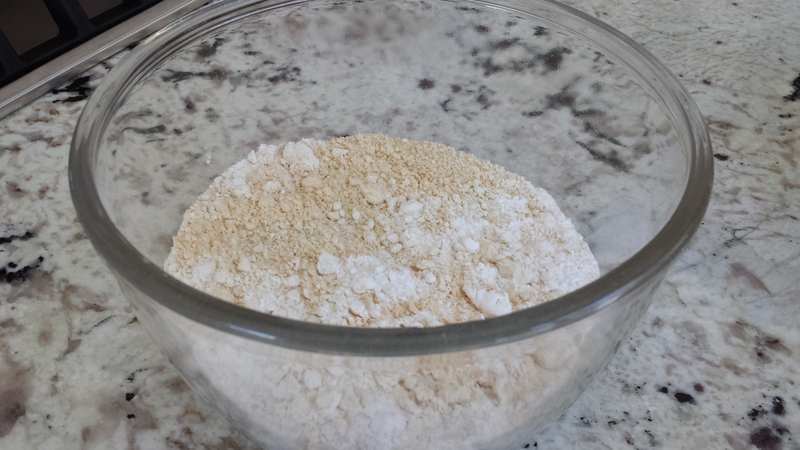 First, in a large mixing bowl, add 4 1/2 t. of Ener-G and 6 T. of water. Whip until the mixture increases in volume. 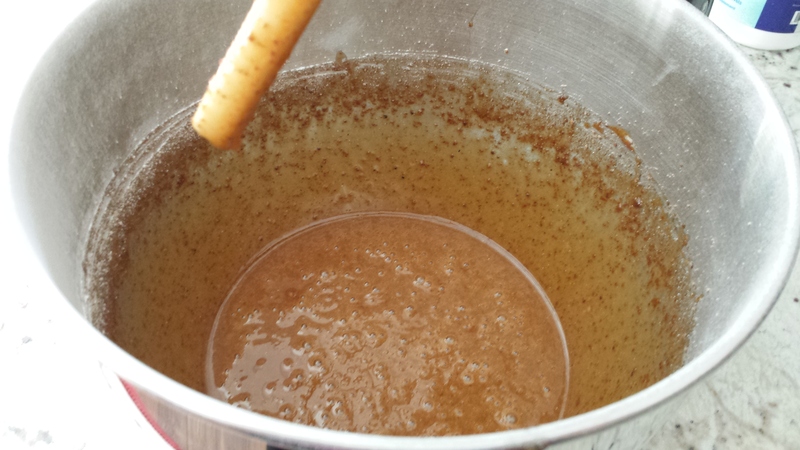 After the mixture increases in volume, add the honey and palm sugar. 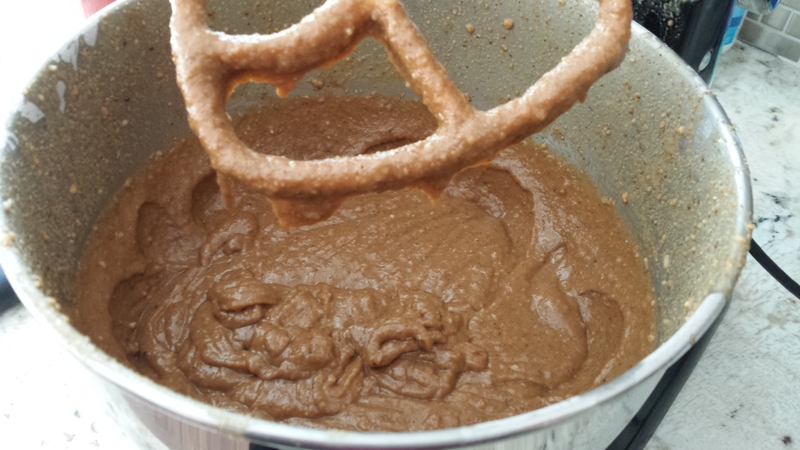 Continue to whip until very well mixed. Add another 1 T. Ener-G and beat for additional 2 minutes. Next, steep 4 t. of Marsala chia tea in 1 1/2 c. of almost boiling almond milk. I say almost boiling because the almond milk will start to break down at boiling temperatures. And…..it’s really important when making chia tea. In fact, some people steep the tea twice by bringing the milk to a boil once, allowing to cool, and then bringing to a boil a second time. 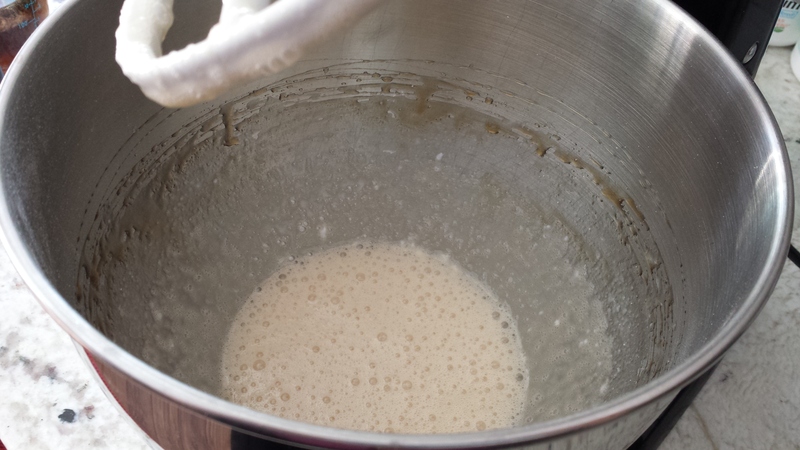 Again, because almond milk does not tolerate a boil well, you’ll need only bring it to an almost boil. While the chai tea is cooling, mix the dry ingredients in another large bowl – almond flour, coconut flour, tapioca flour, baking powder, baking soda, salt, chia seed, cinnamon, ginger, cloves, and cardamom. Add the milk to the sugar mixture. Then add the dry ingredients in two additions. Add 1 c. canola oil and beat on medium-high for 2 minutes. Fill the cupcake liners 3/4 of the way full and bake for 20-25 minutes. 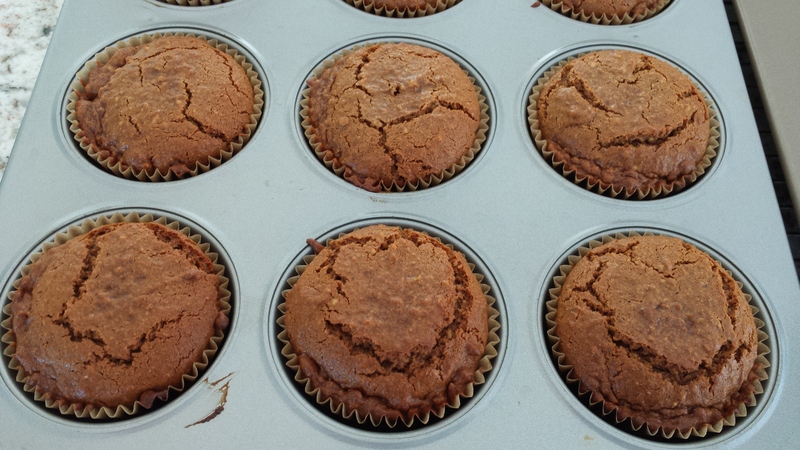 Be sure to confirm the doneness – first, they’ll start smelling “done”; next, a toothpick comes out clean when inserted into the center of a cupcake in the center of the cupcake pan. Place the cupcakes on a wire rack and allow to completely cool before icing. For the icing, steep the Marsala chai in almost boiling milk for at least 5 minutes. Add the ground instant coffee. Set aside. Cream the ghee, coconut oil, vanilla, and salt. Then add the powdered sugar and milk mixture, alternating, until the icing is a smooth texture. Pipe onto the cupcakes. enjoy!!! I know I did 🙂 I hope you do too. 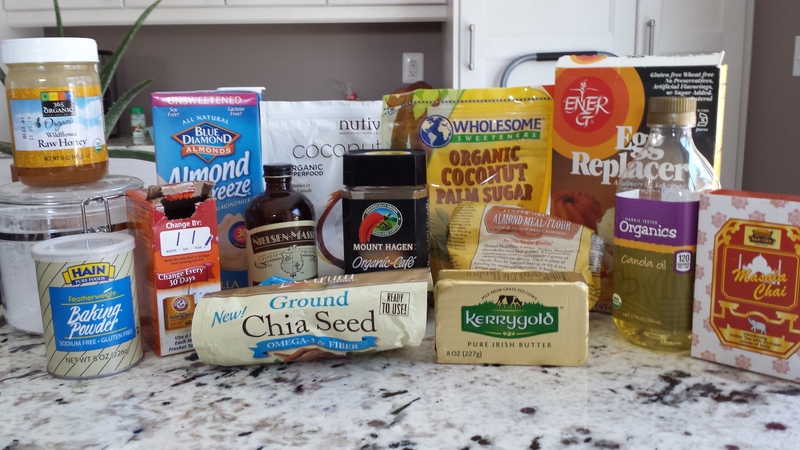 This entry was posted in baked good, dessert and tagged cardamom, chai, chia, cinnamon, coffee, cupcake, egg-free, ginger, gluten free, grain-free, paleo-friendly. Bookmark the permalink.